Track weight, body fat percentage, BMI (body mass index) and lean mass. See your trends and track progress in easy-to-read charts and graphs on the Fitbit dashboard. Recognises up to eight users while keeping individual results private. Set up your scales in minutes using your smartphone&apos;s Bluetooth and a Wi-Fi network. Sync stats wirelessly & automatically to computers and 200+ leading iOS, Android and Windows devices using your home Wi-Fi network. See your progress over time and get the motivation to keep pushing towards your goals. Works with Fitbit watches and wristbands so you can get a better understanding of how your activity impacts your weight. Built with a polished glass surface, these scales makes a stylish addition to any home. 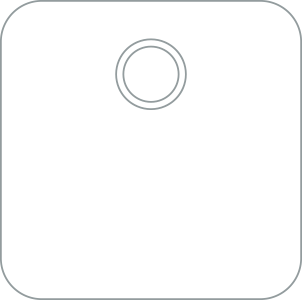 Weight and BMI: Four load cells measure weight. BMI is calculated and displayed based on weight and height. Body composition: The scales measure body mass using bioimpedance analysis. Aria 2 uses 3 AA batteries – no power cable necessary. Aria 2 automatically recognises up to eight different people. Your weight data syncs to your private Fitbit dashboard, so you can control what data you share. Aria 2 is designed to work in a humid bathroom environment. Some condensation due to hot showers, etc. will not damage the scales. The scales should not be submerged. Avoid splashing large amounts of water on the scales. To prevent slipping or accidents, please thoroughly dry the glass top before stepping on the scales. Warning: Do not use if you have a pacemaker or other internal medical device, or are pregnant. Not intended for use by children under 13. Always consult your physician. Slippery when wet. You will get the most reliable readings on a hard surface (not carpet). TLS 1.2, using AES-128, NIST P-256 ECC and SHA-256, with revocation.